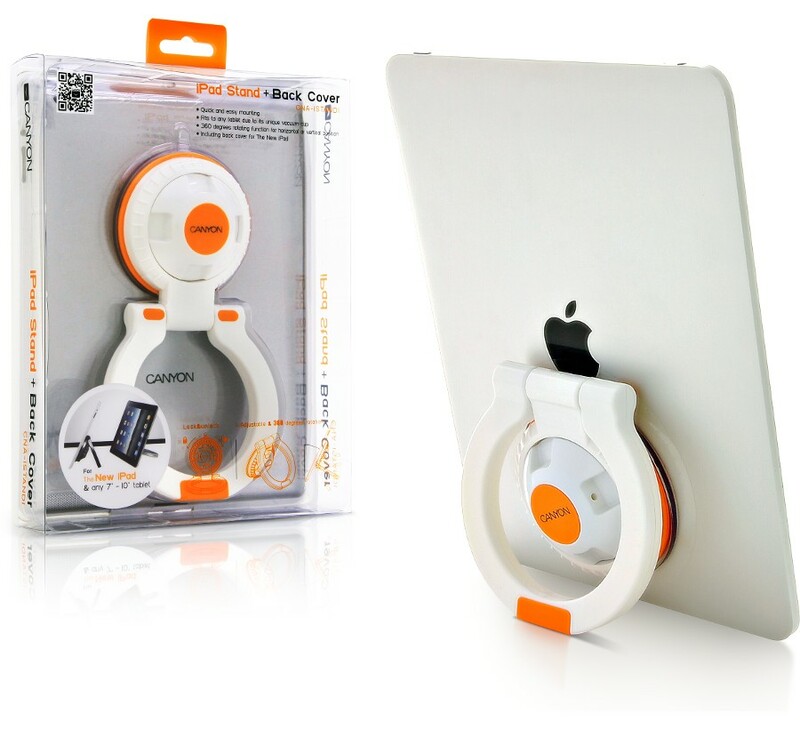 After a quick and easy mounting, this innovative universal stand from Canyon allows you to use your iPad 2 and the New iPad hands free on virtually any surface. Designed to facilitate viewing in any environment, the stand can be adjusted in multiple angles, while the 360 degrees rotating function gives you the choice to work in landscape or portrait mode. 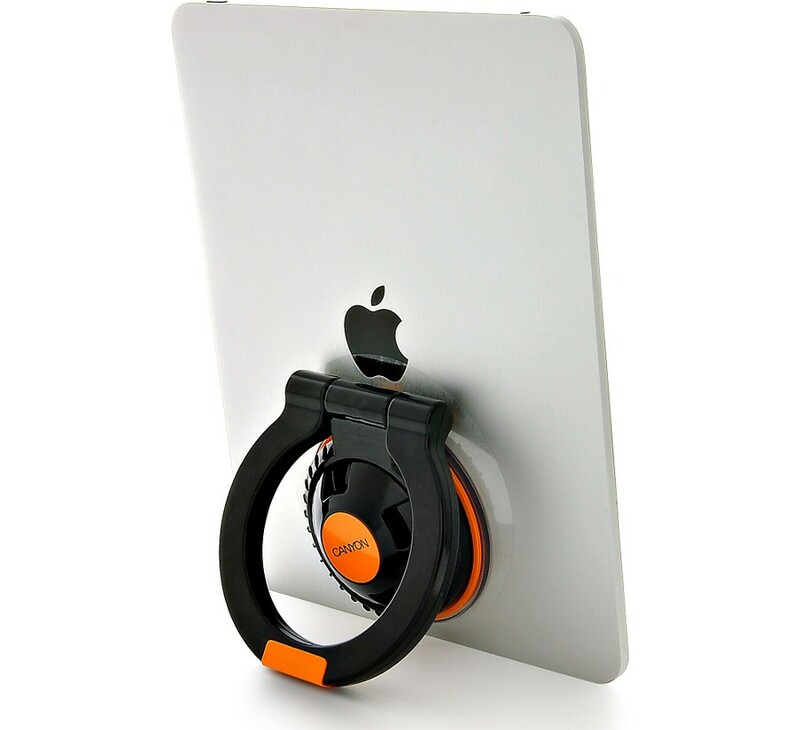 The shape of the stand allows you to hand your device on any hook, or to hold your iPad or other tablet comfortably with one hand while doing your tasks with the other. The stand has soft rubber-coated feet to prevent it from skidding on very smooth surfaces like glass and granite. It also comes standard with a stylish, snap-on case for your iPad, protecting it from scratches without limiting the access to all ports and controls.